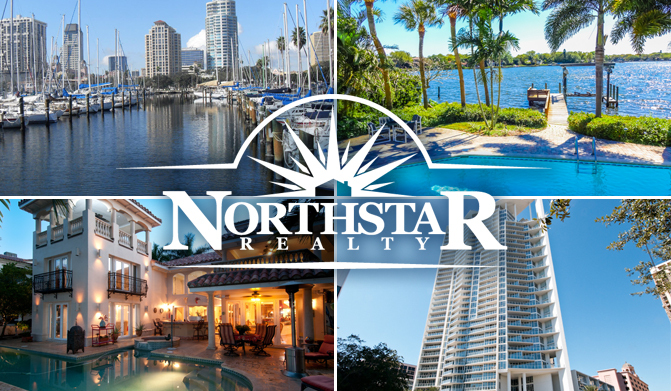 Northstar Realty is a boutique style real estate company in the heart of trendy downtown St. Petersburg. As the premier boutique real estate company for almost 20 years, Northstar provides the individual attention and local experience you need. With a unique blend of knowledge, skill and professionalism, Northstar makes buying and selling real estate fast, friendly and hassle-free. More than a real estate company, Northstar is heavily involved in the community. This is a great advantage for newcomers who quickly become oriented to and involved in their new home town. From the house hunt to the house warming, Northstar handles every detail with integrity and professionalism. Northstar Realty features agents that specialize in many of today’s most requested areas of real estate. Northstar Luxury Homes & Estates is our premier group for luxury homes. We have agents that specialize in waterfront homes, residential sales, condominiums, commercial sales, short sales, investment properties, property management and foreclosures. Northstar Guide You HOME. Northstar Realty- we are passionate about what we do!